This is the first thing you need to decide. The platform is the system that will manage your website. There are several content management platforms out there, some free others commercial. The most popular is WordPress. WordPress is free, super easy to use and is deployed on millions of websites. It has a large developer community who develop themes and plugins that add functionality to WordPress sites. There are many other platforms such as Blogger and Tumblr but due to a large developer community and the sheer choice of themes (templates) and plugins, it is best to go with WordPress as a beginner. You don’t really own your blog. It may sound absurd bit it’s actually true. Since your blog will “sit” on a WordPress.com sub-domain, it will be in the format yoursite.wordpress.com as opposed to yoursite.com. In essence, you don’t own your blog and WordPress.com can delete it on a whim. It has happened to many people before. You are also limited to what you can do. Your multimedia (images and video) uploads are limited and you also can’t monetize your blog fully. A self hosted blog, on the other hand, gives you the freedom to deploy and manage your site as you see fit. A good hosting solution should cost you about $5 per month and there are discounts if you purchase a yearly plan. Once you settle on self-hosting in step two above, the next thing you need to do is to register a domain. A domain is your unique address on the Internet e.g. yoursite.com, yoursite.net, yoursite.org or whichever other prefix (the letters after the dot) that’s available. Most hosting companies also sell domains so you will be able to kill two birds with one stone once you decide to go with a self-hosted WordPress blog. Make sure the hosting service you choose also offers one-click script installation. Look for the WordPress icon, click to install and follow the instructions to install the WordPress content management system. To log into the admin area of your WordPress step and move on to the next step, simply visit yoursite.com/wp-admin (be sure to change yoursite.com to your actual domain name). The layout may throw you off at first but don’t worry, it’s pretty easy. You are now just a few steps away from launching a blog. The fourth and final step is designing your blog. Start by installing a theme. This is the template that manages the presentation of your site. It is what visitors see. As mentioned before, there are millions of templates available. To find a template, go to WordPress.org/themes and browse the themes available. Use the search feature and filtering options to find something you like. Download the template to your computer and then navigate to Appearance > Themes, to upload and install the theme. The theme of your choose should reflect what your site is all about. So, if it’s a soccer blog, you want to look for a theme that represents sport. Once you are done with the theme, extend the functionality of your blog using plugins. There are thousands of plugins, it really all depends on what kind of functionality you want to add to your blog. For example, there are plugins to manage comments, form builders, optimize for search engines and so forth. 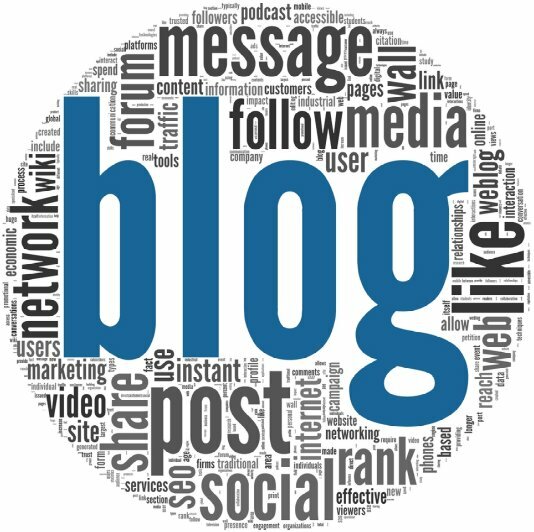 Finally, you want to keep learning so that you can continuously improve your blog. There are many free resources on the Internet that can help you become better at managing your WordPress site. The first stop, though, should be the WordPress documentation page at WordPress.org/support. That wasn’t so difficult now, was it? But, a word of caution, there is much more under the hood. Consider this a quick primer for beginners. With this information you should be able to deploy your first WordPress blog. But, to really experience the true power of WordPress, you need to read the documentation and explore more of the features.